Great multi use garden hose water filter works to minimize impurities, chlorine and chlorimine in tap water. 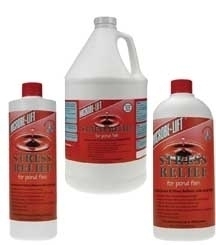 Use for: Topping off your pond, hydroponics, organic gardening, filling kiddie pools, or even washing your pooch! Also great to use with a muck or mini vac, so you don't end up with chlorine in your pond while removing leaves and debris. Easily attaches to your existing garden hose or at the spicket with the attached LEAD FREE solid brass fittings. Can also be plumbed inline. Filters to 5 microns. 2 1/2 dia. 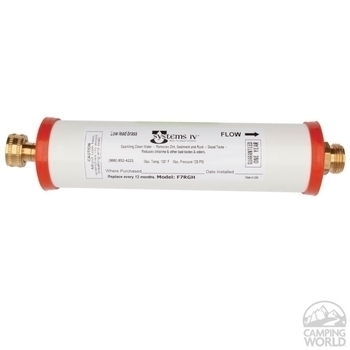 9" filter length, 12" overall length. Guaranteed for one year. 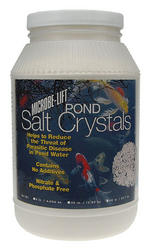 Average 7500-10,000 gallons with normal city water.Filters up to 5 Microns!